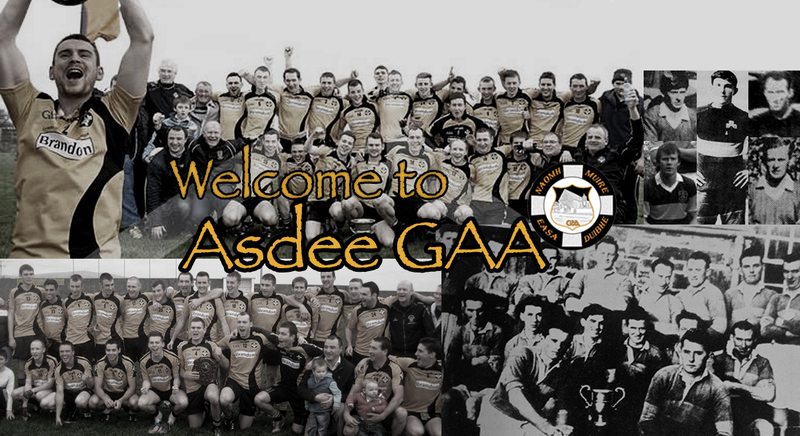 Asdee travelled to South Kerry last Saturday evening to play combination side Sneem/Derrynane. The away side got off to a great start after an 1st minute Eoin Kennedy point. They would continue to dominate the opening quarter and Eoin Tydings put them two up in the 5th minute with a fine effort. Seconds later they were through on goal again for a move that eventually finished with Michael Breen slotting into the bottom corner to give the North Kerry side a cushion. Darren Russell scored a fine point in the 7th minute before Michael Breen made the scores 1-04 to 0-01 sixty seconds later. Sneem/Derrynane eventually hit a purple patch with former Kerry minor and U21 star scoring points in the 11,12 and 14 minutes. The game was then interrupted by an injury to corner forward Paul O’ Carroll before eventually getting back underway. Further Sneem scores on the 21 and 31st came before a late Michael breen free which sent Asdee leading by two points at half-time 1-05 to 0-06. The second half was a lower scoring, physical affair and it took ten minutes to get the half opening score, coming from a free from Michael Breen. Ian Galvin quicly responded with a score before a great Eoin Tydings point on 16 minutes helped Asdee steady the ship. There was a lot of scrappy play in the second half with both sides missing chances. Sneem/ Derrynanes Mike White was sent off for a straight red for a striking offence with four minutes to go before Asdee closed the game out with a free from Michael breen before Michael Tydings scored the winning point in the 32nd minute.